Great info, but you left one out. Triple yolkers ,I got one last week, I was amazed! I love the article! The first egg ever produced by one of our chickens was a double-yolker. I found a tiny egg about 1″ circumference a couple weeks ago. Nothing too abnormal yet but I always think it’s interesting when there’s something different in the nests. It’s funny how things go with them sometimes. Sounds like you got a fairy egg. Was there a yolk? Not sure, I never cracked it… It’s still on the counter, thought it was too cute to crack. Lol. I have some like that. Usually I want to keep weird looking ones, I have one that’s perfectly round. I had an egg inside an egg this summer! Being raised on a farm and still living on a farm i had never encountered this! 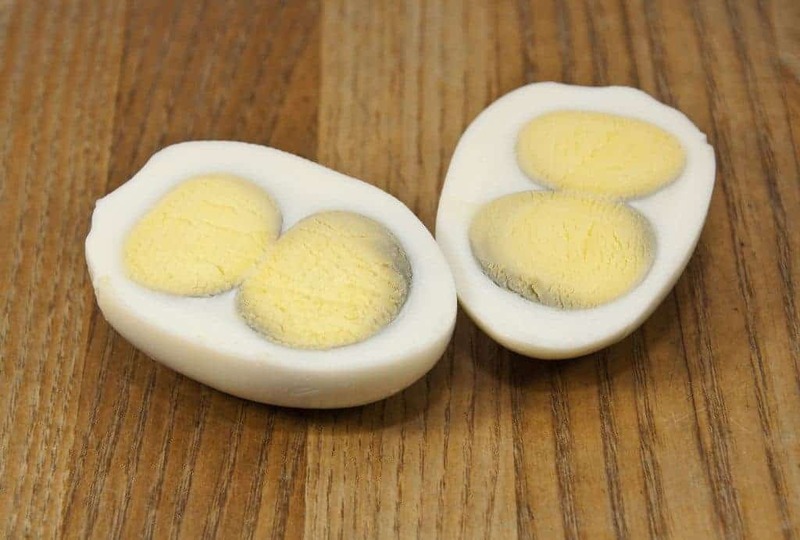 What about wrinkled eggs that about double the normal size? We’ve had fairy eggs (usually when it gets super hot). She laid them like it was normal. Funny pill shaped ones. I’ve also had an egg that never closed up. The membrane was sticking out of one end like it was a balloon that had been papier-mâchéd. It’s been years, but I’m pretty sure that we cracked it and it was normal but we didn’t eat it. Too weird. That’s interesting about the shell that never closed! I had a chicken lay a lash egg. I looked through all my books and on the Internet to find out what it was. To no avail.. Your picture was awesome. I finally know what it is. A year later. The chicken has since passed. She never laid an egg after the lash egg. And appear d healthy until one day she just looked like the couldn’t swallow and died in two days. Made no noises. Did not walk. It was horrible. We have pet hens, so I still find myself looking for Star. Thank you for your post, I’m a novice, and it is very helpful. You’re welcome, I’m glad you found it helpful. I’m sorry to hear about your hen, it’s tough when they die. I have a hen that laid a double yolk egg, didn’t lay the next day, then laid a double yolker, this has gone on 10 days. Every other day she lays a double yolk egg. She is a new layer. Should I be concerned? I wouldn’t personally be concerned about that, but if you are, or if it appears to hurt her in any way or if she seems sick, then I would definitely take her to the vet. One kind not mentioned I get on occasion is a wrinkled shell egg…which I don’t worry about. It’s one specific hen and it doesn’t happen very often. That’s a good one! I’m working on a follow up with more odd eggs, I’ll be sure to include it. Maat, did you ever write your second article? I got one last week that had a rather large smiley face on the rounded end. You can see it on my blog this week. I still haven’t been able to figure out the exact cause of such an anomaly. If you know I would sure like to hear from you! Thanks! I have a hen that always lays a spotted egg. It is a pretty brown with dark brown spots.. In Indonesia the eggs without a shell are served hardboiled. They are just as good as regular eggs but their rarity brings a sizable up charge. The ones I have gotten without a hard shell bounce. Yup, we got them to bounce on the counter, and we laughed and laughed….. I have 4 hens that are fairly new to me (about 2 months). They aren’t consistent layers, I usually get 2-3 eggs a day. I am afraid that there might be an issue but they seem healthy and happy. They don’t exactly like it when I try to pick them up so I don’t usually. The other day I went out and it looked like one of the girls laid an egg but it was just the inside. I didnt see a membrane or anything and I can’t be sure that it was just the inside of the egg because our bedding is sand and it absorbed some of the egg. 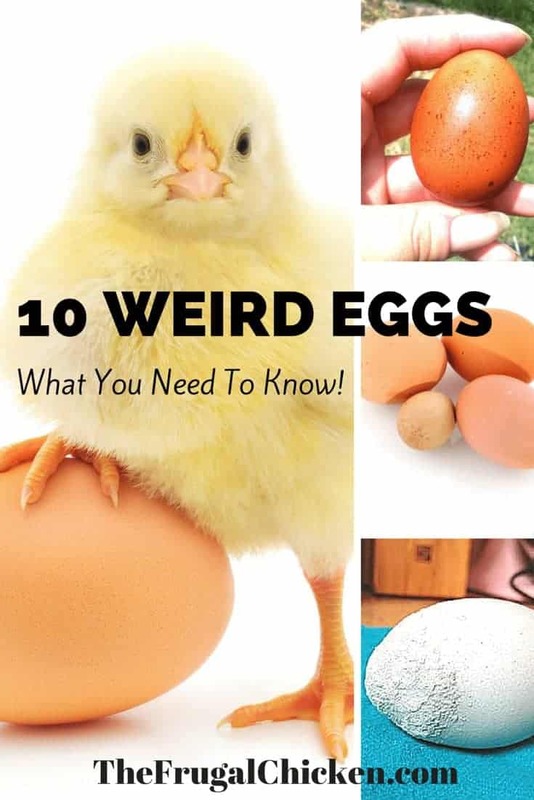 Do chickens lay eggs without a membrane or a shell? 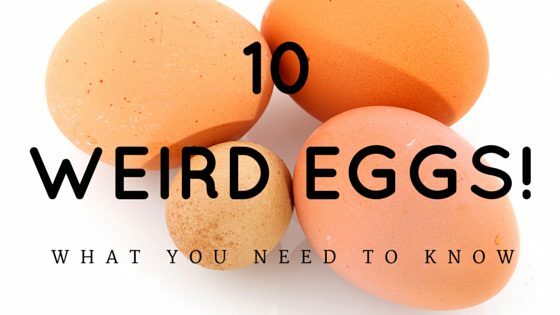 How have you found the best way to determine which chickens are laying which eggs? I only have 4 like I said but I only definitely know one chickens egg. Hi Sarah, for 4 hens, 2-3 eggs each day is a good average. 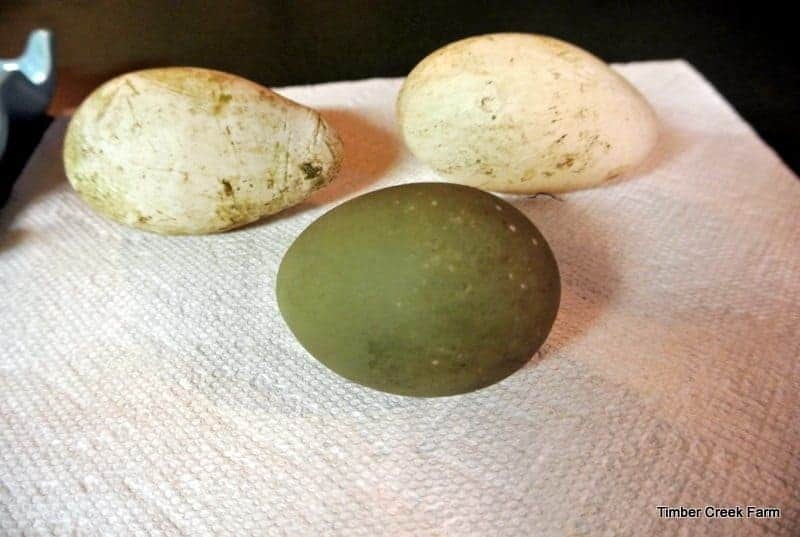 It takes them 26 hours to lay an egg, so they’re going to not necessarily lay an egg every day. 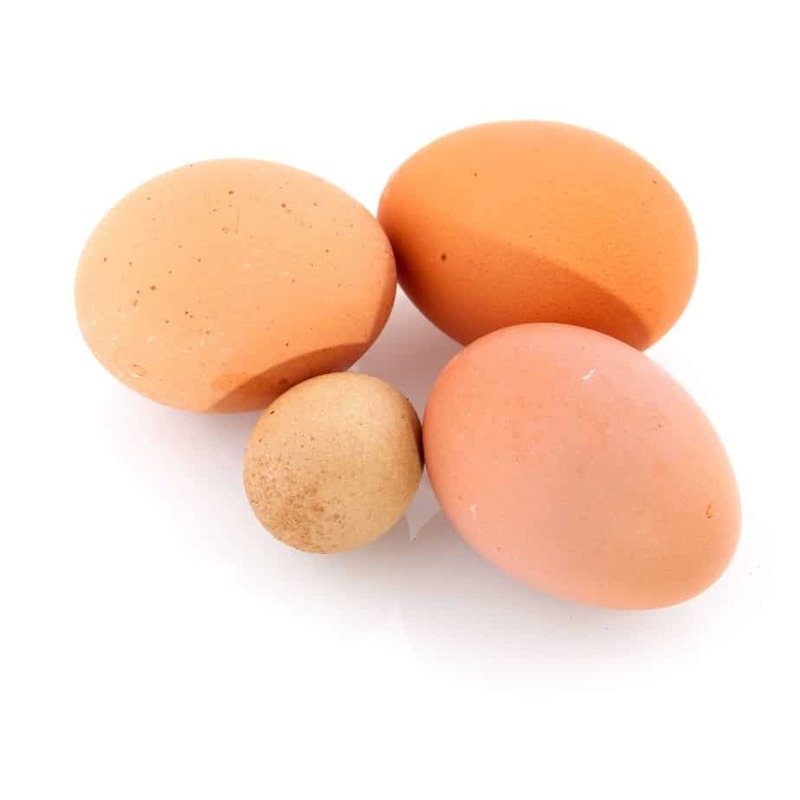 The particular egg you saw is a shell-less egg. 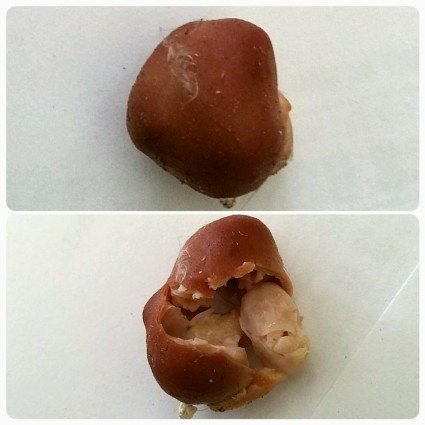 It’s not uncommon, and if it happens a lot with your hens, it’s likely a calcium issue. Do you give them a calcium supplement like oyster shells? If it just happens one time, I wouldn’t worry too much about it, but if it’s a consistent issue, then your flock probably needs more calcium. Just offering them oyster shells or toasted egg shells free choice will solve the issue. We have a lot of layers and I can’t tell who lays what egg anymore, especially if the hen is a brown egg layer (I know which ones lay the green eggs and dark brown eggs, but even then, I couldn’t tell you which particular hen laid which dark brown egg, just that it’s only one of 3 possible hens). Among my production reds, I can’t tell at all because their eggs are all uniform. Hope this helps. Thank you very much for your help. I do have oyster shells and crushed egg shells for them. Hopefully it was just a fluke. I have four healthy girls who I have always considered good layers. They lay three eggs a day. About once or twice a week, I only get two eggs. Hello. My Easteregger lays eggs that have a pile of calcium drips on the narrow end that seem to create a weakness/hole into the egg shell. We throw out more of her eggs that we keep. The hens enjoy free access to oyster shell and feed. Any thoughts? I have no idea how old she is. We’ve had her for 2 seasons and she was laying when we got her. Hi Linda, do you have any photos? My ladies consistently lay speckled eggs. My buff orpington lays larger beige colored eggs with dark speckles and my dominicker (did I spell that right?) lays darker kind of pinkish colored eggs with light speckles and hers are always slightly pointed at the top like she tried to pinch them off at the end lol. They’re also new to me. They’re both about a year old and have been laying for their previous owner. It took my buff about 2 or 3 days to start laying after they got here and my other girl took nearly a week to start laying. The eggs seem quite normal so I just figured all was fine. I didn’t realize the speckles could be considered a bad thing. 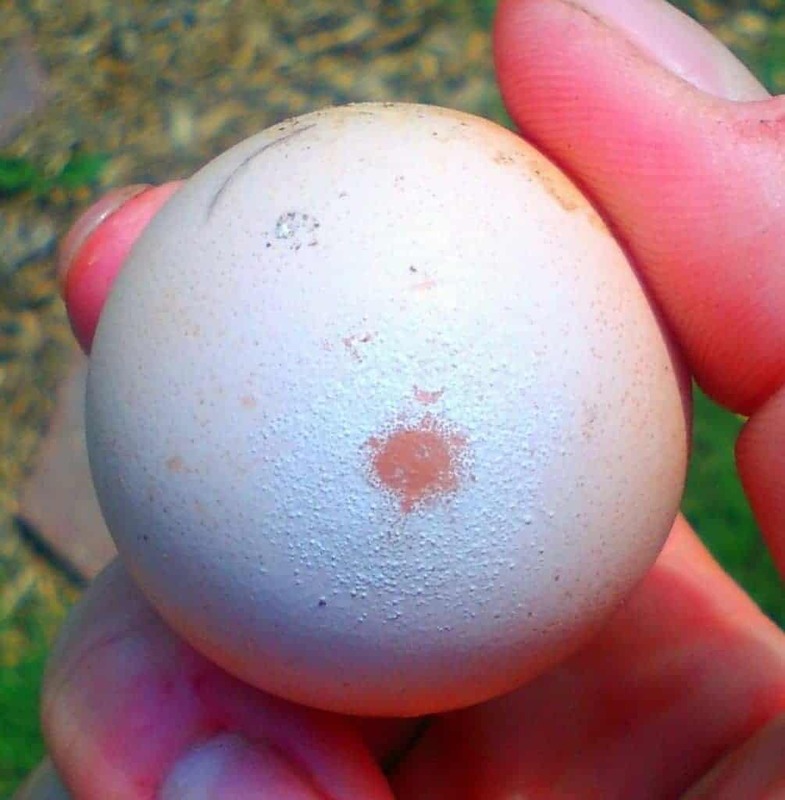 I thought it was normal in pretty much all farm eggs. 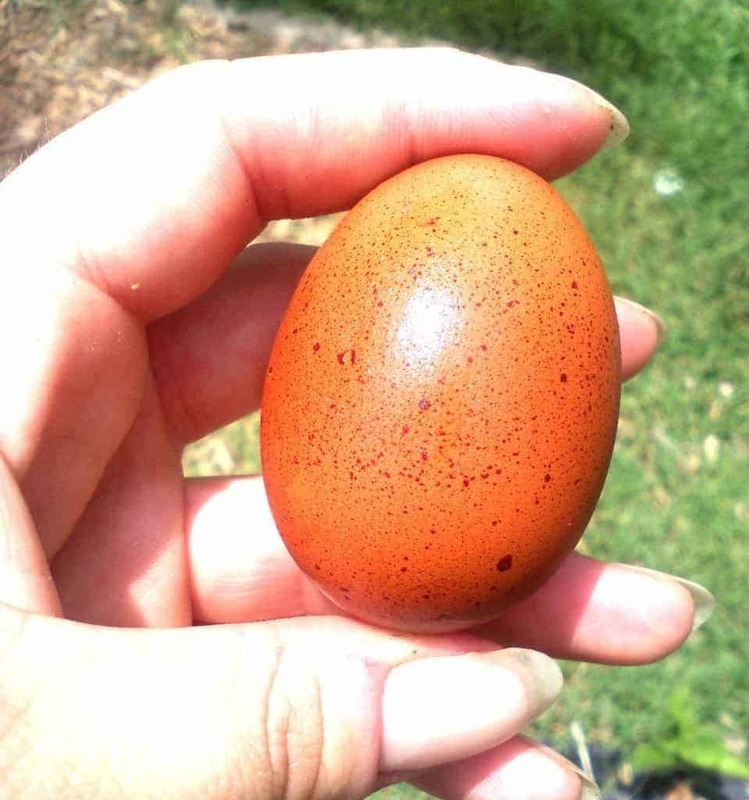 Hi Amber – The speckles aren’t a bad thing, they’re just something that don’t happen on every egg. In fact, I get speckles on some of my eggs, and I think that it makes the egg more beautiful. 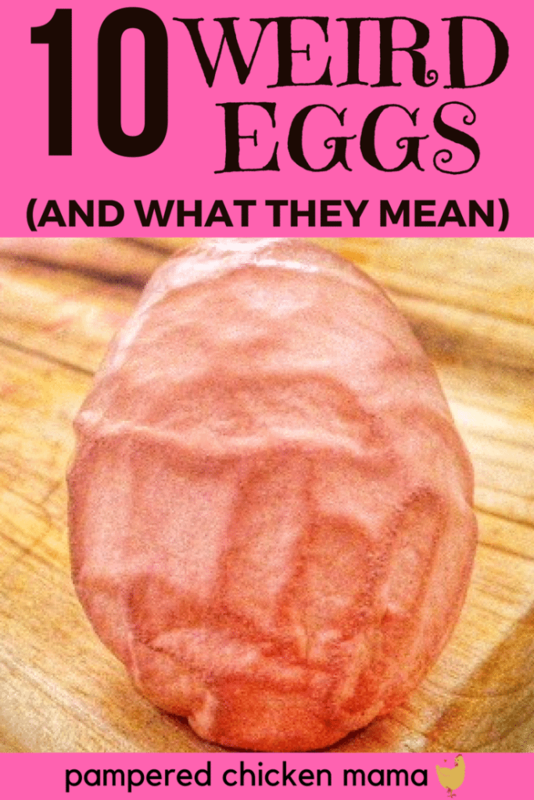 This article is meant to point out the different eggs someone might see, and to know whether it’s something to be concerned about or not. For example, lash eggs are something to be concerned about. The occasional egg that was broken then recalcified isn’t something I personally would get too concerned about. What about thin shells that crack easily? Hi, that’s probably a calcium issue. Are you feeding them something like oyster shells or toasted egg shells? What about eggs where the yolk has burst inside the shell? Not from rough handling or anything. These eggs were from a coworker’s backyard flock and there were several in the dozen. Hi Rachel, do you know how old the eggs were? I had three eggs this morning that the yolk was broken inside the shell, i get them from a local farmer. I had opened 15 eggs and 3 were like this. Any ideas other than old eggs? Thank you so much for your helpful posts. I opened an egg this morning and was horrified when this little jewel popped out of the egg. Based on your photos & comments, I ‘think’ what came out of the egg was a lash egg (????). In all my years, I’ve never seen anything like this before. Some of the albumen of the eggs was also stained red. Maybe it was blood? The abnormal looking foreign body appeared hard to the touch but most definitely appeared to be organic in nature. I took a photo of the object and threw out the remainder of the egg. I would have liked to post a photo for you to examine and tell me what this is but, could not find any place to send a photo link to. I tried to drag and click but, that didn’t work. I’ll send you the photo in an email using the address you supplied above. Thanks for all your help. I may never trust a factory egg ever again! ugh!